We have had an interesting development in our household. Gordon had discovered crafting. His inspiration and is different than it ever was with the girls. While they were most interested in the actual process as a fun activity, he is set on the results. 1. Gordon’s project idea is always inspired by another interest like Star Wars, Legos, Five Nights At Freddy’s, Minecraft or Pokémon Go. Actually, it is always inspired by one of those things. 2. It is always built on something he has recycled like a used glow stick, tissue box, or in this case a tennis ball. 3. It always involved duct tape. Sometimes lots of duct tape. Gordon recently came to me with this idea, which I think he saw somewhere on YouTube, and he had to try it. 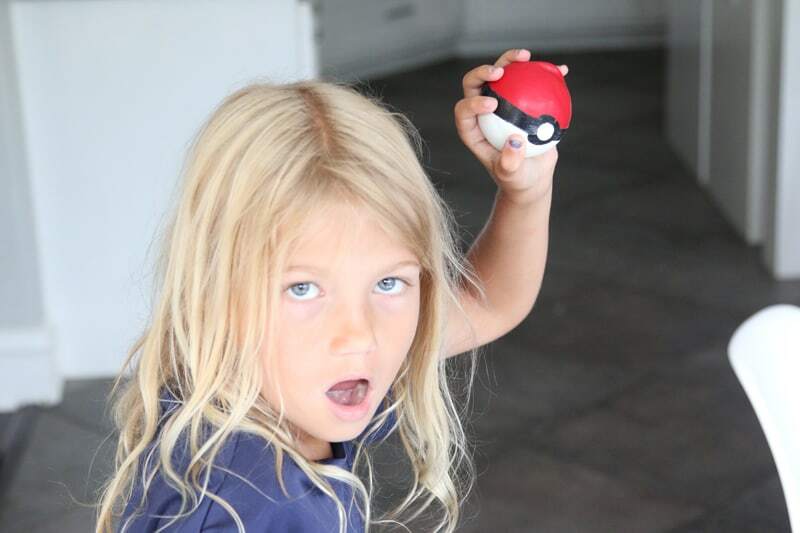 16 Pokéballs later, we are excited to share this easy Pokémon Go tutorial. Here’s how you make them! – Collect your supplies. 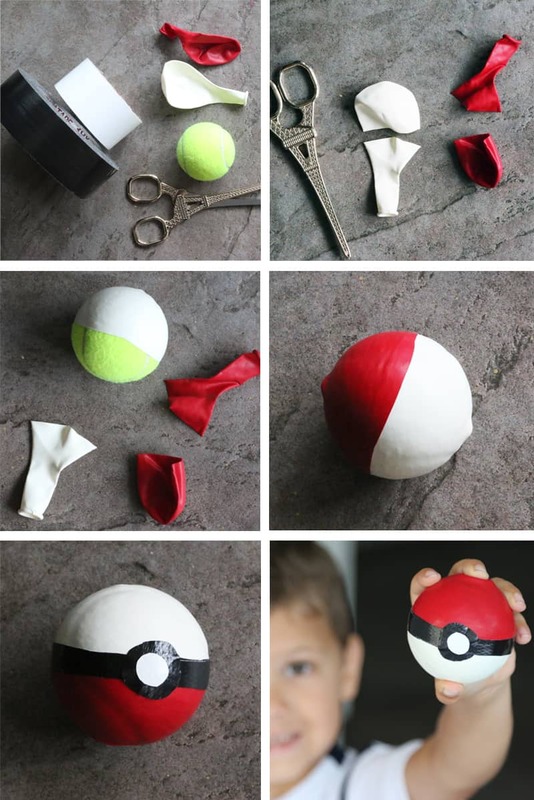 One red 9″balloon, One white 9″ balloon, black and white duct tape, scissors and a tennis ball. – Cut the rounded bottom off of both balloons. 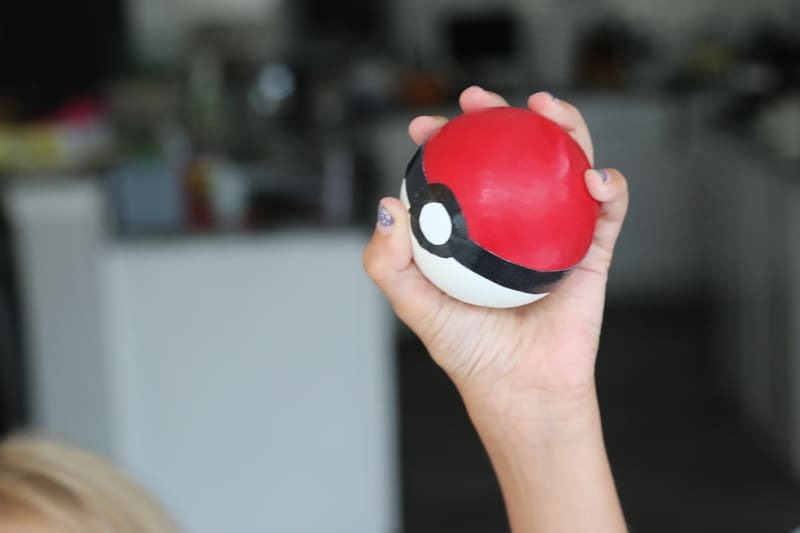 – Pull one balloon onto the ball as tightly as possible. 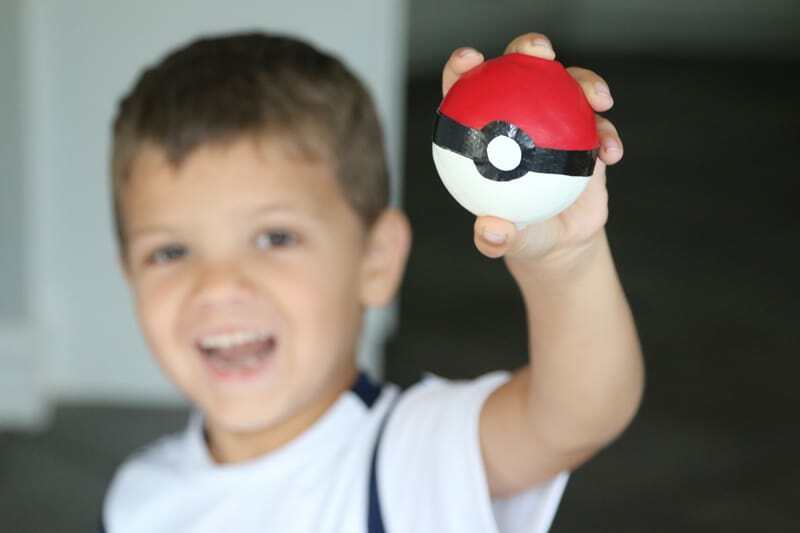 – Pull the second balloon onto the other side of the ball, overlapping the first so that the entire ball is covered. – Cut a strip of black tape about 1/2″ wide and long enough to go around ball and overlap 1/2.” Cut a 1″ black circle and 1/2″ white circle and center over stripe. You can use templates like coins or just freestyle.